Belden DataTwist® 23/4P Twisted-pair Cat 6 multi-conductor cable has flame-retardant polyolefin/fluorinated ethylene propylene jacket to withstand harsh environmental conditions. The flame-retardant polyolefin/fluorinated ethylene propylene insulation resists electrical leakage and offers protection against environmental threats. It has aquaseal water blocking tape shielding that reduces EMI/RFI interference/crosstalk. 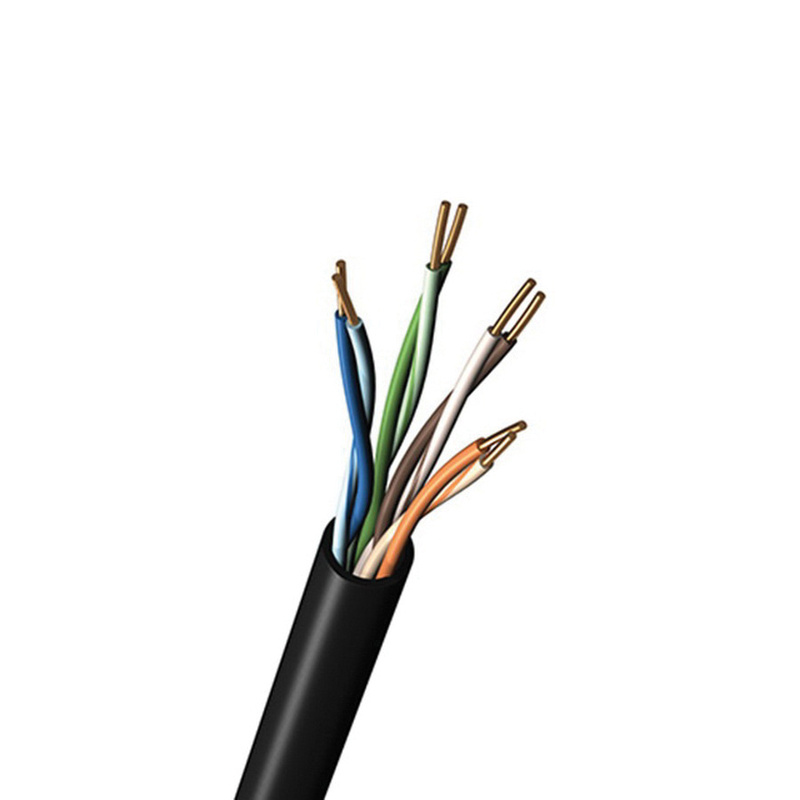 Bare copper cable has current rating of 5-Amps and voltage rating of 300-Volts. Cable of diameter 0.214-Inch, has bend radius of 0.5-Inch. It has 15 pF/ft capacitance, 100-Ohms +/-15% - 100-Ohms +/-32% impedance, 9.38-Ohm/100 m conductor DC resistance, 5-Ohm/1000-ft nominal outer shield DC resistance and 20 - 17 dB at 1 - 250-Mega-Hz return loss. This cable withstands temperature range of -70 to 150 deg C. Cable is UL listed, CE marked, CSA certified, RoHS compliant and meets NEC NFPA 259, EU Directive 2011/65/EU standards.